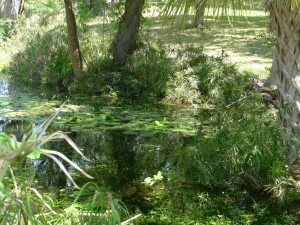 This project included the restoration and enhancement of an existing spring located in the Tampa Water Works Park, in Tampa, Florida. 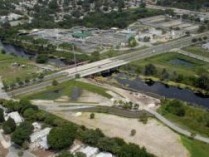 The project included widening the existing spring by excavating a littoral shelf on the south side and replacing the existing piped outfall to the Hillsborough River with a 100-foot diameter semicircular pool and 200 foot long creek. AREHNA provided geotechnical exploration and engineering services in support of the design. 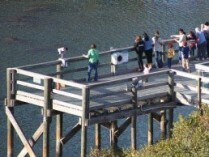 The TECO Manatee Viewing Center is located at Big Bend Power Station in Apollo Beach. It is an education outreach center, which included a new dock site, single-story buildings, paved areas, a retention pond, a trail and observation tower. This Design-Build project included the design of a new alignment of a portion of the existing Upper Tampa Bay Trail. The alignment passes under the Sheldon Road bridge on the north bank of Channel ‘A’. The construction included significant grading of the existing earthen embankment, installation of new retaining walls and reconstruction of a pond berm. Gravity, cantilever and sheet pile walls were all included in the design. Design and construction concerns included low overhead clearance for driving sheet pile wall and high ground and channel water conditions. 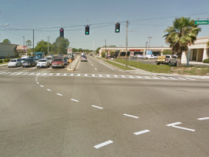 This intersection improvement project included the addition of turn lanes and signalization and mast arm upgrades. The geotechnical scope of work included performing soil test borings and providing parameters for mast arm design. 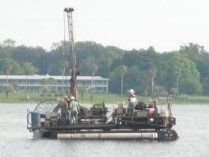 The project included the design of new construction for an earthen berm with concrete overflow structures to enclose a portion of the southwest portion of Lake Parker in Lakeland, Florida. The new berm design was to separate the lake and a new aquatic landscape area on a littoral shelf. Construction of the berm involved a combination of driving sheet piles to remove upper muck layers and deeper ground improvement. The purpose of the geotechnical exploration was to obtain information concerning the site and subsurface conditions in the areas of the proposed berm construction. Geotechnical engineering services included a comprehensive field exploration program over water and marsh land to evaluate acceptability of the berm bearing soils and to identify the anticipated soil profile within the excavation depth for temporary sheet piles. The project required mobilization of a specialized amphibious drill rig and close coordination of boring locations and underground utility locations to avoid conflicts. 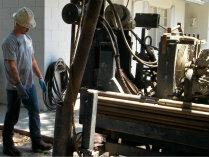 Standard Penetration Test (SPT) borings were performed along the proposed berm areas. Our services also included a comprehensive laboratory program to define the organic content in the areas of the anticipated excavation depth of the soils. Highly organic soils were identified at various depths exceeding 50 feet.